A Pear 5 in. x 7 in. Oil On Panel - Bid on or buy this painting. The subject is a single pear. This one caught my eye because of the really interesting variance in color. 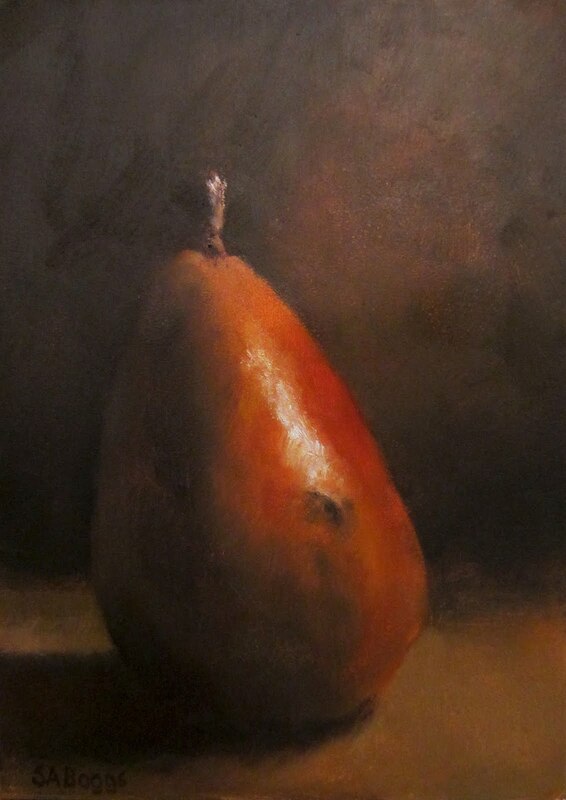 The pear, and the painting, have some reds, but a fair amount of burnt oranges, golds, gray green's, etc. Fun to paint. I hope that you enjoy it.